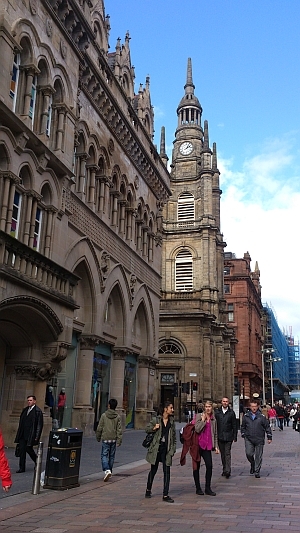 Glasgow is one of the top shopping centres in Europe and most of the up-market stores and brands are found in Buchanan Street. Brands such as Karen Millen, Apple, Omega, Rolex, Hermes, Prada, Gucci etc are sold in the shops in this famous street. 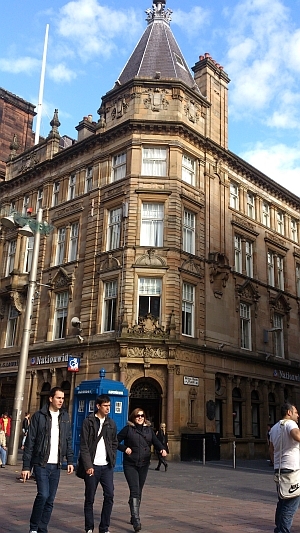 It is the 6th most expensive street in the UK with regard to retail rents (the first five are in London). 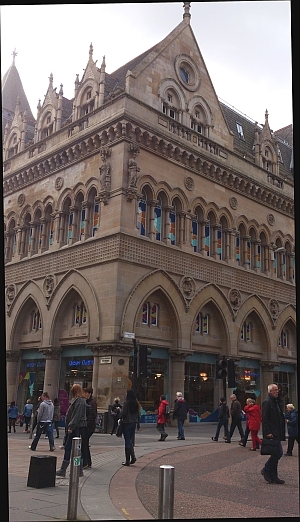 Buchanan Street dates from the late 18th century and is named after Andrew Buchanan of Buchanan, Hastie, & Co who was a wealthy tobacco lord. He was the owner of the ground on which the current street is located. In keeping with a city which became very wealthy through trading with the Americas and West Indies, many of the buildings are very ornate and beautiful both externally and internally. 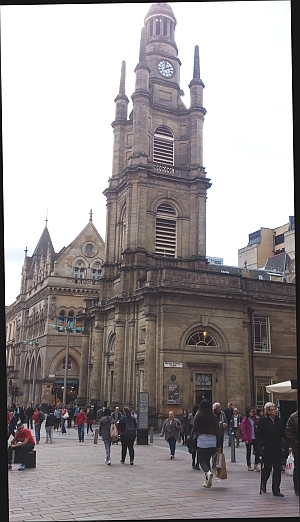 While I was there recently I spent some time looking at the buildings as I walked from the top of the street, just outside Glasgow Concert Hall, to Argyle street at the bottom. 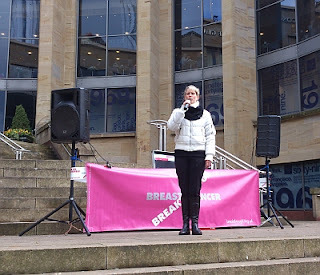 It is not unusual to find an opera singer or band performing outside the Concert Hall and on the day I was there Canadian opera singer Kyla Lingley was singing some well-known operatic arias to raise money for breast cancer. Many of the other shoppers stopped to listen to a wonderful singing voice. 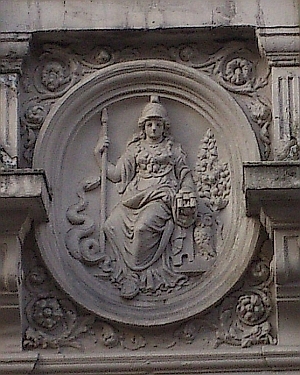 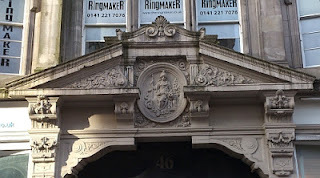 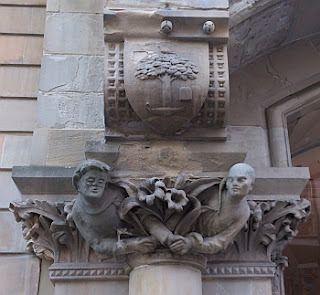 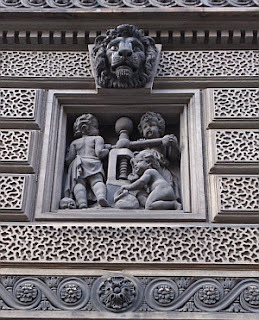 Walking down the street, the beautiful carvings on many of the buildings are testament to the wealth of the City which was once known as the 'Second City of the British Empire' in the 19th and early 20th centuries. 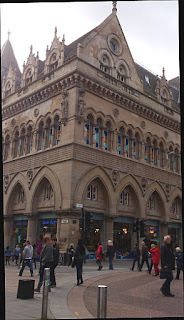 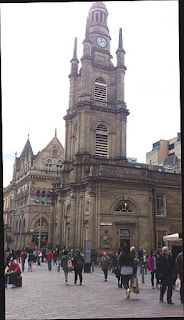 Below shows some photographs of Buchanan Street.